Oral-B Genius 9000 Black Electric Toothbrush incl. 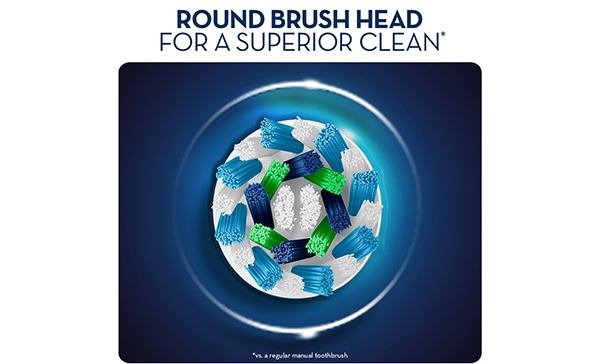 3 Brush Head Refills & Smart Travel Case is rated 4.9 out of 5 by 108. Rated 5 out of 5 by Johnstylahz from Just wow! Everything!! From the basic to the high end. I can feel my teeth and gums in top condition! Just an amazing machine! The looks the feels of it. Worth every dollar of it. All the features is crazy. From whitening to healthy gums to tongue cleaner. Made in Germany! Best of the best portable tooth brush. It will make u think why we must brush our teeth. We only have these teeth for the rest of our lives so invest in them! Thanks again for an amazing product! Wish more product to come and even an offer to trade in for the latest product in furture. Rated 5 out of 5 by #singlemumsmilesagain from Life Changing Appliance I’m genetically “gifted” (inserting sarcasm) with poor teeth and gums for years I’ve struggled to get my teeth to feel like they’ve been cleaned by a dentist every day. Until I met the Oral B Genius 9000. With the “fun zone” to play with my friends and achieve new backgrounds, reminders for this busy single mum to brush her teeth after sleepless nights I couldn’t ask for a better product. I’ll be starting Invisalign treatment soon and I know my orthodontist will be impressed how far I’ve come since purchasing this product. Rated 5 out of 5 by shrek0210 from Excellent electronic brush I bought Oral-B Genius 9000 around 3 weeks back and completely happy with my decision. This is my first electric tooth brush and I was skeptical before purchasing whether is it going to be worth the investment but I am really happy that I made a switch. I liked the timer function which guides and alerts while brushing different sections of teeth. I compared Philips SonicCare Diamond and Oral-B Genius before purchasing and decided in favor of Oral-B just because of price factor. Rated 4 out of 5 by Sam17 from Great product I bought this last month and so far working well. The only problem is to change the mode you need to turn on the device while it would be more convenient to have the option to change the cleaning mode when moror is off. I also noticed that overall battery working time with one charge is similiar to old models, maybe the reason is while the battery performance improved, the consumtion increased as well due to new features.